Changing seasons, changing environments, changing temperatures - choose the Sira stripe lined gilet for that younger fan of Weird Fish in your life and you can be confident she'll remain comfortable and looking stylish whatever the weather. 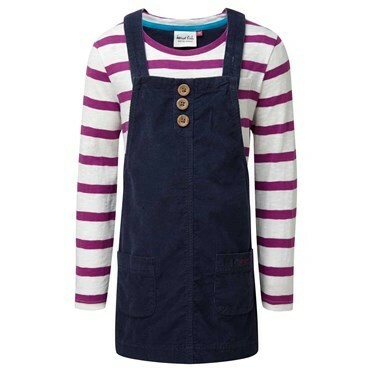 Our Sira stripe lined gilet is the perfect choice this season to keep her warm and content. For a classic layered look why not match with our Evie striped jersey t-shirt featuring a matching Sloeberry coloured horizontal stripe. 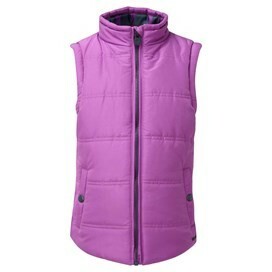 Lovely gilet, great colour and attractive liner - granddaughter loves it - fits an average slim 9-10y old. Our almost - four year old granddaughter just loves this. She is rather slight in build so the size fits well. It might be small for some four year olds.